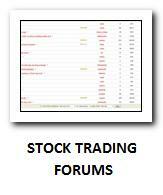 Stock trading education is an important part of the process to become a profitable stock trader. Anybody trying to make money trading stocks without stock trading training will lose money. And those, who were asking “teach me to trade the stock market” several times already will be the ones who will take money from these losers. What are options for stock trading training? Stock trading education can be obtained several different ways. I personally used many of these during my first years when I tried to understand how to trade stocks. I did not use all learning options at once. But sometimes I was using more than one. I was reading a book and also I was subscribed to a newsletter for traders. And I am using some forms of stock trading education even today, after I have traded equity markets for 10 years already. The process of learning about the stock market never ends. Equity market basics could stay the same, well mostly. But market behavior is changing. There are also several new products introduced over a time. And also brokers are continuously developing their platforms for traders and are adding new features. 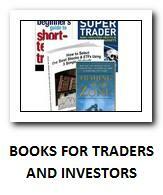 I recommend using some of the stock trading education materials regularly. 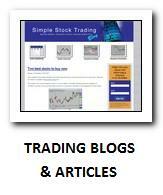 Beginners have to find good materials covering the three basic areas of stock market trading and investing. Great traders provide interviews and it pays to read them. They are published in books or could be found on the Internet. I recommend them as one of the best forms of education for traders and investors. If you find some interviews with the world’s best traders then read them. Such material is really worth reading. It can help you to discover new rules for your plan. Using video, DVDs, or online courses for traders and investors is also a very useful way to learn about the equity market. You can practically see how the speaker does his/her analysis and trades and compare it with your actions. This info is very valuable, as you can see that it is not rocket science to use the platform of a good online broker. 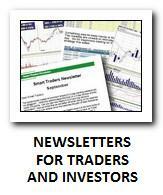 That it is not complicated to use some free market screener available online or to use chart analysis software. This is the most expensive type of stock trading education. But I must admit that it is also the most effective form of education for traders. Individual mentoring is worth its price. It helps you to become a trader much sooner and also it could provide info not available anywhere else. When the mentor is a good trader, then he or she will share his individual secrets with you. He/she is also available for future discussions about trading. The only issue is finding a really good trader who is willing to provide mentoring. Trading is a very time-consuming business so it is not easy to find a trader who can provide some mentoring.